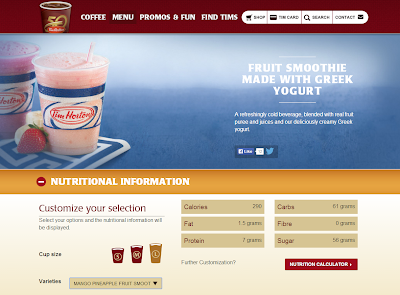 Weighty Matters: How Much Greek Yogurt is in Tim Horton's New Greek Yogurt Smoothie? How Much Greek Yogurt is in Tim Horton's New Greek Yogurt Smoothie? After all, it has the words "Greek yogurt", "fruit", and "smoothie" in its name. But what's in the smoothie? A crapload of sugar where its 14 teaspoons of sugar (in the large) account for 77% of its total calories. So how much Greek yogurt is in this sugar delivery vehicle? 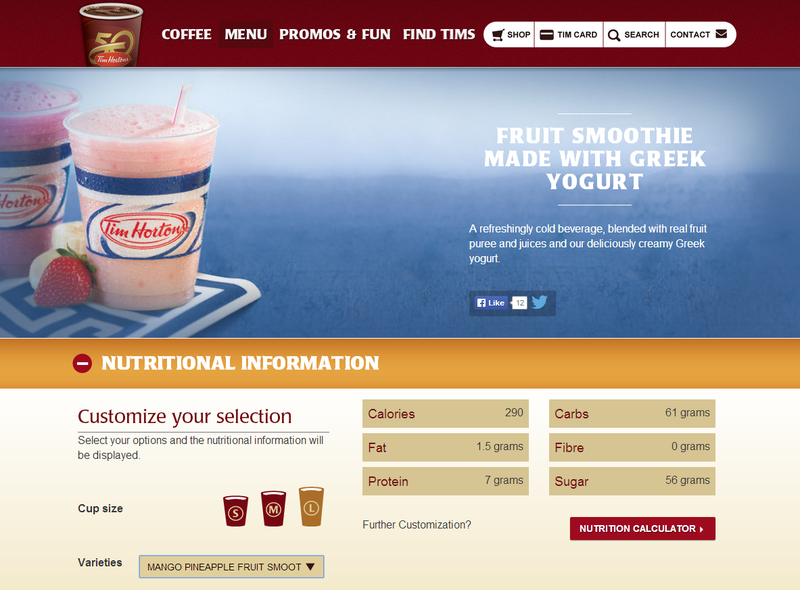 Looking at the nutritional breakdown of generic Greek yogurt and the online nutritional information provided by Tim Horton's for this large "Greek yogurt" smoothie, my best guess is that the 18oz smoothie only contains between 2 and 2.5oz of Greek yogurt as that's how much Greek yogurt you'd need to add to reach the smoothie's reported lonely 7 grams of protein. 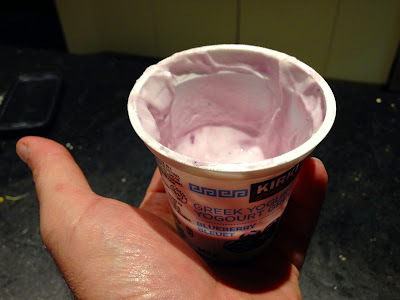 Putting this another way, for every teaspoon of Greek yogurt in a Tim Horton's Greek Yogurt smoothie there's also a teaspoon of sugar. Or how about this way? In every giant 18oz Tim Horton's Greek Yogurt Smoothie my math puts only half a single serve portion of Greek yogurt in it (and less than 1/4 of a single serve portion in a small).